Thinking about building a wine cellar, but find yourself bogged down by questions? Never fear. Below, we’ve compiled the questions we are asked most frequently about building wine cellars. Find the answers you’ve been searching for below. Have a question that’s not on this list? Contact us and we’ll answer it for you! Q: Do I have to have to store wine in a wine cellar? 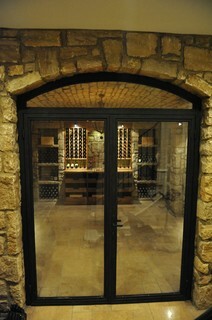 A: If you’re a casual wine drinker who consumes bottles soon after you buy them, you probably don’t need a wine cellar. But if you’re a collector (or aspiring collector) or wine, you should protect your investment by storing it in the correct conditions. Wine stored in too-hot or too-cold conditions, at the wrong humidity, or in an environment in which temperature and humidity fluctuate, can mold, evaporate away, turn rancid, or undergo chemical changes that can make it taste unpleasant. Q: Does a wine cellar require special construction? A: Yes. Wine requires a unique environment different from that of your home. Wine cellars must maintain a temperature of between 55 and 78° Fahrenheit and humidity between 55 and 75 percent. This is far colder and more humid than your average house. A wine cellar has to be specially constructed to maintain and control this unique environment. The most important part of this construction is a vapor barrier, which keeps the high humidity in your wine cellar from migrating to the low humidity environment in the rest of the house. Vapor barriers are often overlooked by inexperienced wine cellar builders, leading to ruined wine and high repair costs for the owners later on. Q: I don’t have underground space. Can I still have a wine cellar? A: Absolutely. Long ago, people used to store wine underground because conditions were usually more optimal there than above ground. But with today’s technologies, we can create a wine cellar with perfect conditions in many different locations in a home. However, wine does need to be protected from light, heat and vibration, so picking a cool spot away from windows and excessive noise will save you on construction and energy costs. Q: I don’t have a lot of extra room in my house. Can I use a closet? A: You can! Small space should never limit your wine cellar aspirations. It is possible to convert a small space like a closet into a fully-functional and beautiful wine cellar. For proof, check out this 800-bottle cellar Vintage Cellars wine cellar constructed in a San Diego home. Q: Do the wine racks have to be custom-built for my space? That sounds expensive. A: No. While custom racks are certainly an option, there are many other kinds of racking systems available on the market today. A modular system like Vintner wine racks can give you the gorgeous custom feel without the high price tag. Vintner offers a variety of wine rack sizes and styles, such as columns, bins, and diamond racks, that can all be fitted together to perfectly suit your space. Q: I love wine but I don’t have an eye for design. Can you help? We’d be honored! Most of our clients know that they want a unique and beautiful space, but they don’t know exactly how to achieve that. We specialize in listening to what our clients want, then working with them to create a beautiful design that suits them and fits seamlessly into the rest of their home’s design. Contact us today to see what kind of wine cellar we can make for you! You found that perfect wine while tasting at a sun-soaked vineyard years ago. You carefully carried a bottle home and placed it in your wine cellar. You monitored the temperature and humidity. You researched and thought about when the right time to open it. Finally, tonight’s the night: it’s time to uncork that bottle and at long last, enjoy the wine inside. But here’s the rub: you don’t want to down the whole precious bottle in one night. How do you enjoy the wine over a few days without losing that taste you’ve worked so hard to build? Anyone who’s left a bottle out on the counter or in the refrigerator knows that the wine just doesn’t taste quite as good the next night. Can you save your wine without losing taste? The answer is yes: Your just need a wine dispenser. 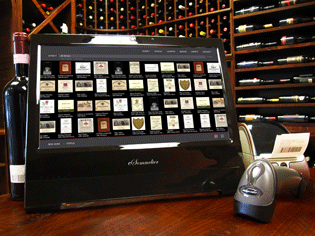 Wine dispensers are devices designed to preserve wines. They store wines at appropriately cool temperatures, and keep oxygen from coming in contact with the liquid inside the bottle. You’ve probably seen wine dispensers used at restaurants and bars. But wine dispensers are available for home use, too. 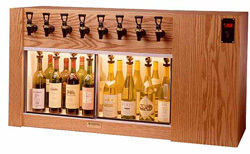 One wine dispensing system we recommend is the WineKeeper. WineKeepers work by replacing the oxygen in the open bottle with nitrogen, a gas that doesn’t react with wine. Meanwhile, they hold bottles in a refrigerator specifically calibrated to the right temperature to preserve the wine. 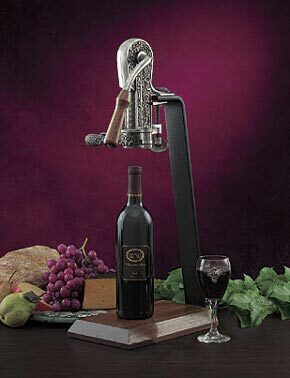 To use the system, you uncork the wine, insert the dispenser’s stopper faucet, and plug in the gas. You’re ready to pour a perfect glass. 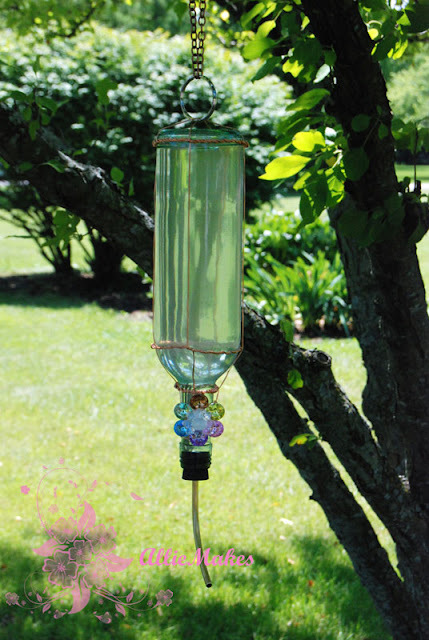 WineKeeper offers a wide variety of dispensers. If you’re a restaurant or bar owner, you might be interested in something like their 8-bottle model, available in all kind of finishes from oak to stainless steel, and customizable with features like chrome faucets and a door lock. This model has different temperature zones for white and red wines, making it simple to keep each at its correct temperature. 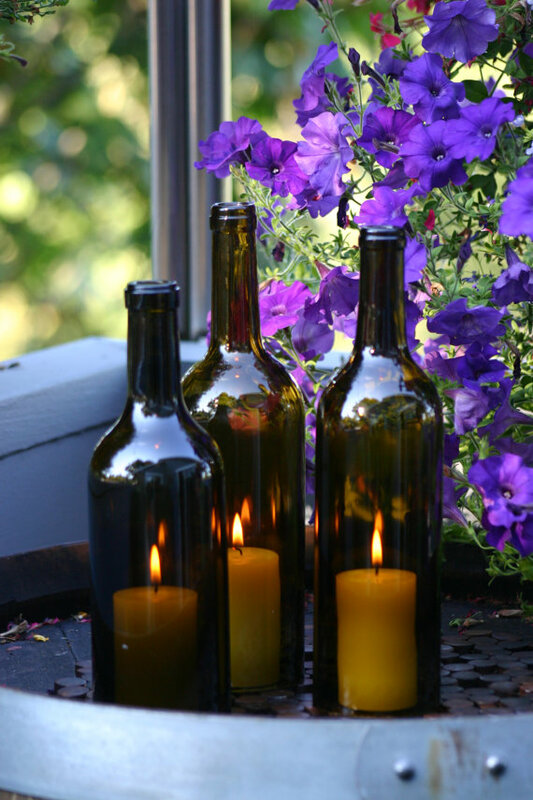 If you’re a home enthusiast, you might be more interested in WineKeeper’s 4-bottle model, called the Napa. Though smaller, this model uses the same nitrogen preservation technology and advanced refrigeration system, and has two separate compartments for wine and red wines. Whether you need a commercial or personal model, WineKeepers will keep opened bottles of wine fresh for weeks, so that you never waste that second half of the bottle again. Raise your hand if you’ve ever avoided ordering a bottle of wine at a restaurant because you couldn’t pronounce the name. Bookmark our wine pronunciation guide and never fear embarrassing yourself again! Has My Wine Gone Bad? A Bad Cork: Bad corks are the number one cause of “bad” wine. If stored improperly (upright instead of on its side, or in an environment without much humidity) a bottle’s cork can become too dry. It can then crumble, exposing the wine to air prematurely. Air Exposure: Premature exposure to air (often because of bad corks) makes wine go flat and taste weak. Any air leak will quickly ruin decent wine. Some people mistakenly think that re-corking a bottle of opened wine will enable it to be preserved as before. Unless you’re using a wine preservation system similar to the Winekeeper Vintner 3 Bottle Wine Dispenser System, just popping the cork back on will not preserve your wine; the air remaining in the bottle will wreak havoc on your remaining wine. Warm Storage: If wine has been stored for a lengthy period in heated conditions (direct sunlight, an uncooled storage area, a steamy car trunk, etc.) It can acquire a rubbery, burnt-like taste. One telltale sign of a bottle that’s been exposed to heat is a cork that leaks a little bit of wine. If you’re storing wine at home in your cellar, consider investing in a WhisperKOOL XLT 1600 cellar cooling unit that not only regulates temperature, but also humidity! Past its Prime: If a wine ages too long after it’s reached its maturity, it will begin to taste like vinegar. Lots of people mistakenly blame vinegar-tasting wine on something that happened during the production process. Most of the time, however, that vinegar taste simply indicates the wine was stored way past its prime. So, if you’re storing wine, make sure it is kept out of direct sunlight, stored on its side in a climate-controlled environment (preferably where moisture is also monitored), and consumed close to the time when it reaches its maturity. Follow these simple steps, and the amount of bad bottles you open in your home will be minimized. Cheers! First, a vintner decides when the grapes are ripe. This is done by taste, concurrent with today’s technology of taking accurate sugar readings. The grapes are then harvested and placed into a machine that removes their stems. The machine also crushes them (without pressing them) so that A) the grapes become exposed to yeast and B) the skins will color the wine. The yeast then transforms the grape’s sugar into CO2, heat, and alcohol; this is fermentation. The crushed grapes and liquid then sit (macerate) until it is decided that the taste is ideal. During this process, the grape skins often float above the liquid. Since these skins must remain submerged, for best results, they are repeatedly pushed back into the liquid, or the liquid is mechanically pumped over them to continually submerge them. If the grapes sit for too long in this state, the wine will taste bitter. If they do not sit long enough, the wine will taste too weak. The vintner determines when enough time has elapsed. Once the decision has been made, the liquid is removed and the solids are sent to the press. After an aging process, the length of which is determined by the type of wine, fining and filtering processes remove sediments from the wine. The wine is then bottled carefully to avoid contact with the air. (And, as we know, many of the best bottled wines are stored for several years before they are released to us!) For more fascinating information about winemaking and wine technology, check out Vintage Cellar’s Wine Storage Education Center. There, you’ll find more tantalizing trivia and wine storage tips to think about. Cheers!